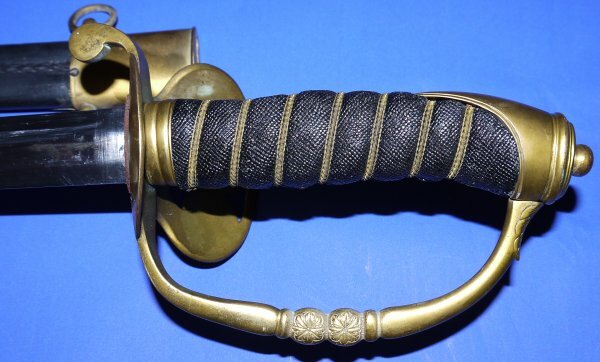 In very good condition, a Victorian British Honourable Artillery Company Officer's Sword. The blade has been replated so the etching is feint, but this sword has the original officer's / owners initials on it (looks like "J I"). The 30 3/48 inch replated blade in very good condition, some small rust spots on the edges (not many / too much). Blade firm in hilt. Hilt generally good. Fishskin grip and twisted grip wire bindings in very good order. 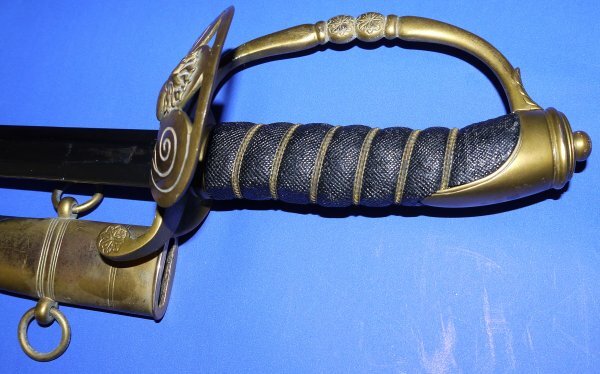 The leather and gilt metal fittings scabbard in good condition for age. The sword sheathes and draws well. 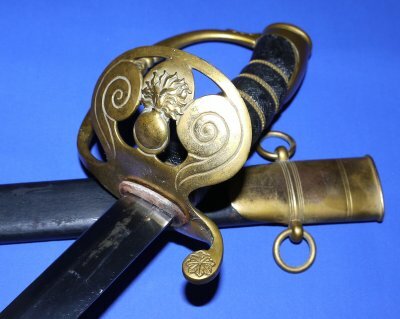 Lovely looking sword, yours for £500. Please quote item reference AD94. Further / full sized images available upon request. Box 0627-1m (1.639).